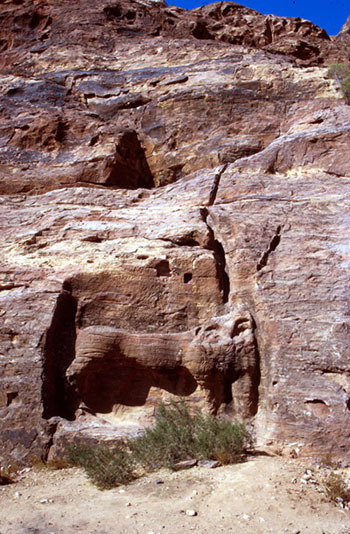 Water was channeled to a votive fountain in the form of a lion standing 4.5 meters tall and carved into the rock face. The water poured through an opening in the lion's mouth (its head is now badly eroded), filling a basin at its feet. Elsewhere, waterfalls and public fountains converted the distribution of a scarce resource into a form of aesthetic display.